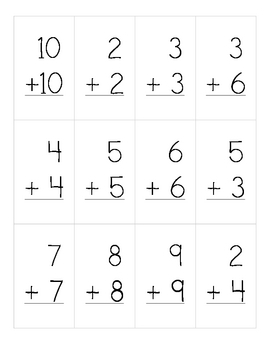 These are addition flash cards that can be printed off and used as a class or individually. These are great to be sent home, worked with partners, class wide, or individually. They're simple and a convenient size. Hope you enjoy them!